I’d been after a Pogliaghi bike for quite a while . 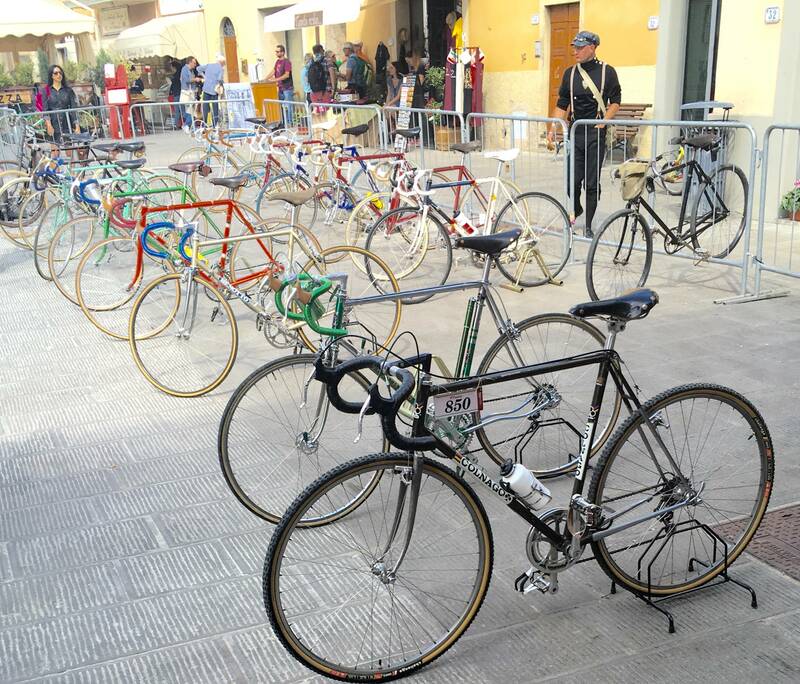 Known as ” The Tailor of Bicycles ” , Sante Pogliaghi was a renowned artisan frame builder from Milan . The Pogliaghi brand was bought by Rossin in the late ’80’s , and this Pogliaghi Lampo SLX circa 1989 is Rossin era , with a lot of similarities to the top of the line Rossin Ghibli SLX , pictures are from when bike was found , in Belgium ….